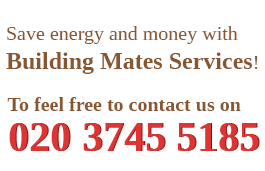 BuildingMates provides building and tiling services in London. You can count on our tilers to provide you with professional tiling service. Tiling is something you can’t cope with on your own, if you don’t have the necessary expertise and skills. Our company offers professional tiling services which you can order any time in the week and day in London. Your bathrooms, kitchen, hallway, terrace, swimming pool and stairs will look better than ever, after using the tiling services, provided by our company.Our tilers have been working on different projects and have the needed experience and skills to provide you long lasting results and qualitative services . 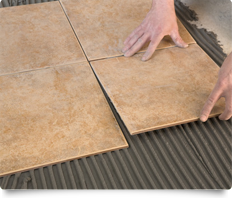 They can install different kinds of tiles in the different areas in your commercial or residential property. 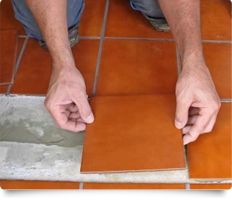 Applying tiles on different indoor and outdoor areas: kitchens, bathrooms, hallways, garden pathways, porches, stairs, etc. Whether you need your indoor or outdoor area, domestic or commercial properties tiled, our services can ensure you professional and long lasting results. Our craftsmen use waterproof glues and grouting materials, which will make your wet rooms tiling last for a long time. They can install new tiles in your kitchen, bathroom and wherever you need them. Our tiling services can improve your home and commercial properties, making them attractive. Besides applying tiles on different smaller and larger indoor and outdoor areas in your rooms, our craftsmen can repair your broken or cracked tiles, apply grouting and repair existing grouting. The tiling that you can have provided in your home and commercial property, is available for all London residents. The floor and wall surfaces in your place will be cleaned and prepared for tiling. They will be made smooth, clean and even so the tiles adhere well on them. Use our services, which will provide you high quality tiling for any area you need tiled. Our craftsmen can look after the wet areas in your home, making them protected from damage and mould. The materials they use are top quality and will make your rooms, porches and terraces look better than ever. Use our tiling services, provided in London whenever you need them. Our company works seven days in the week.